Community members capturing the beauty of the harbor. BRIDGEPORT, Conn. – Overcast skies could not keep them away. 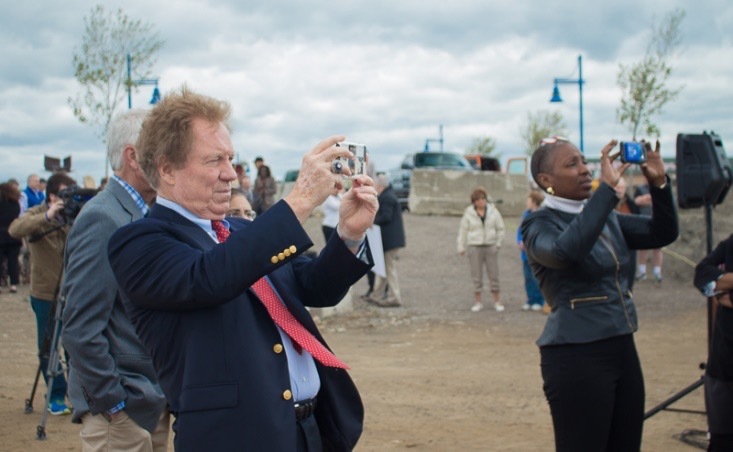 Local dignitaries, corporate executives, project developers and members of the media all felt compelled to come and see the initiation of the next phase of Bridgeport’s Steelpointe Harbor development. And why not? It represented the symbolic and very real progress being made in the Park City. 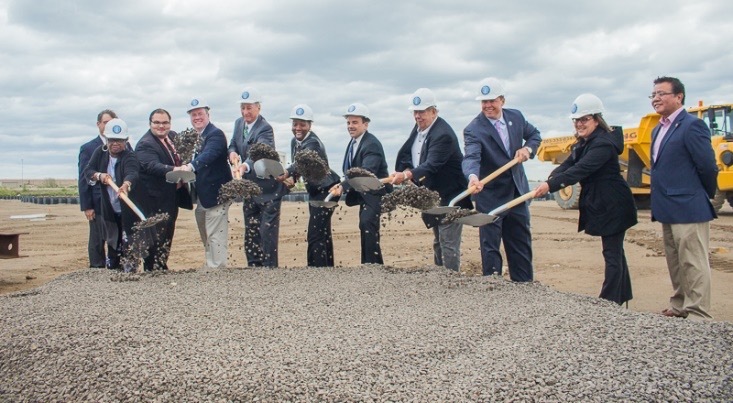 Elected officials break ground for new DockMaster’s building. 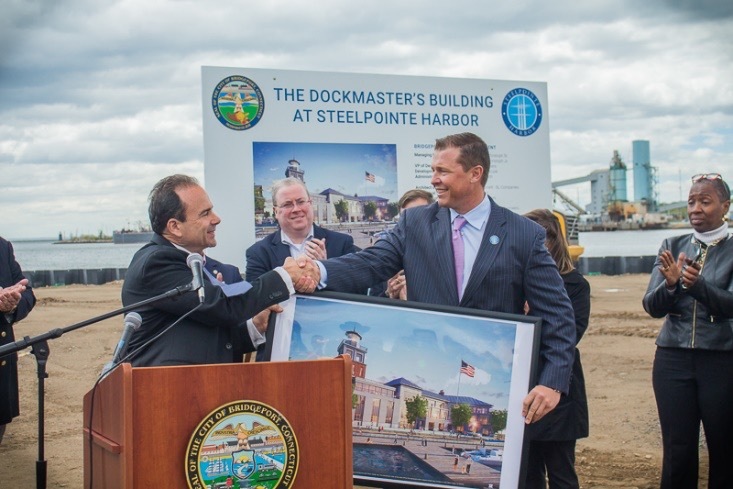 Monday, May 15th was the groundbreaking for the DockMaster Building construction project at Steelpointe Harbor. 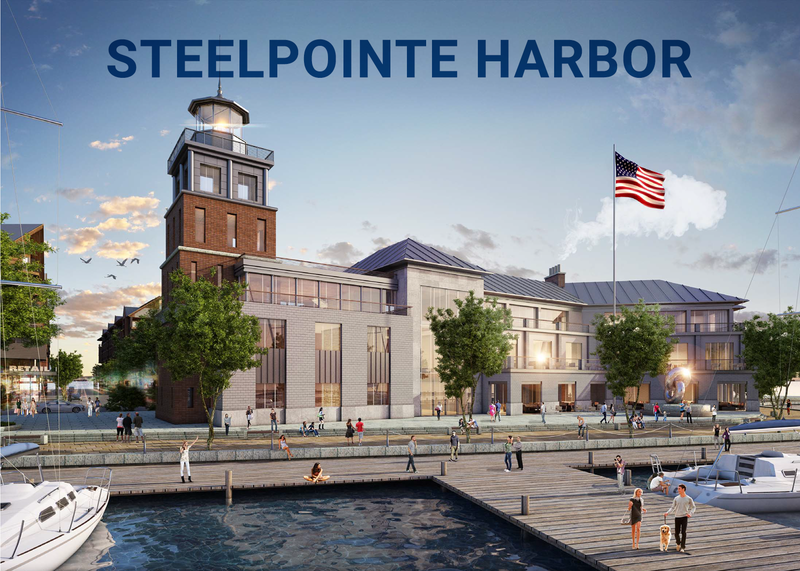 Owners, Robert Christoph and his son, Robert Christoph, Jr. of Bridgeport Landing Development (BLD) joined the group of excited participants to celebrate the start of the significant Bridgeport Steelpointe Harbor project. Moments after they all arrived shovels broke the seal on land that had been months in preparation; a 22 million dollar bulkhead nearly completed, land graded to a height that can take on Long Island storms and utilities being constructed that will do the developments heavy lifting once built out. Most of the same guests were at the culmination of the Steelpointe’s first anchor project which was the completion of the retail development north of Stratford Avenue containing Chipotle, Starbucks, T-Mobile and Bass Pro Shops. And most will be back for the groundbreaking of the residential development to follow. Mayor Joe Ganim and Christoph Jr. celebrate the start of construction. At the DockMaster’s Building groundbreaking Robert Christoph, Jr. stated, “This is the beginning of the work that will enliven the entire waterfront (on the lower peninsula).” Construction should begin in the next forty-five to sixty days, once a company is chosen to do the work. The building and the associated marina boat slips are set to be completed in the summer of 2018. When the same folks return for the ribbon is cutting of the 35,000-square-foot DockMaster Building in 2018 it will have a restaurant on the first floor, offices on the second floor (occupied by BLD, and BL companies, the engineering and architectural company for the project), and the owner’s residential units on the third floor. The development is set to have pedestrian friendly streets, a walkway along the harbor, a public marina, and outdoor seating. Undoubtedly it will draw even more folks as it will be open to the entire community. 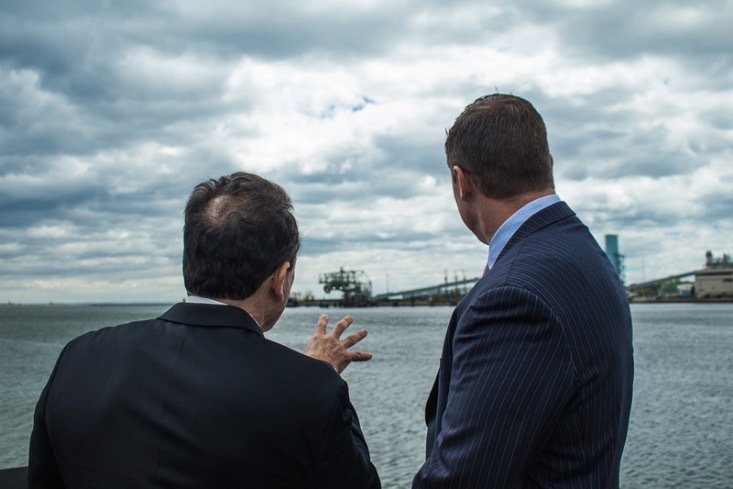 Bridgeport Mayor and Christoph Jr. admire the harbor. Steelpointe Harbor is the rebirth of a destination and engine of commerce. The ideal location on Long Island Sound positions it – an hour to Port Jefferson Long Island on the ferry, and an hour to New York City by way of interstate or rail. The redevelopment of this site will recreate an urban/waterfront complex, a destination, and a new Bridgeport neighborhood.